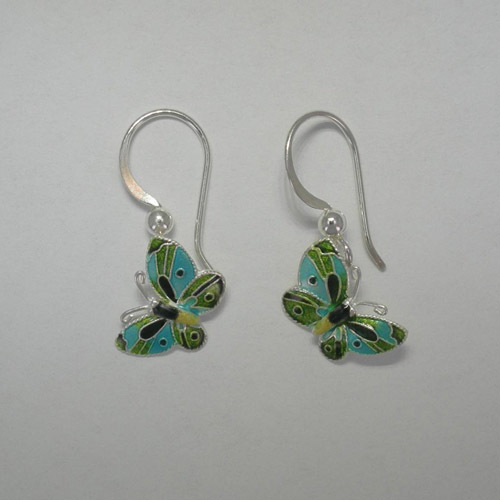 Desc: Sterling Silver enamel small green butterfly earrings. The ear wires are fashioned from Sterling Silver. The small Sterling Silver butterflies have blue, green, yellow and black enamel. The earrings have bright polish finishes.